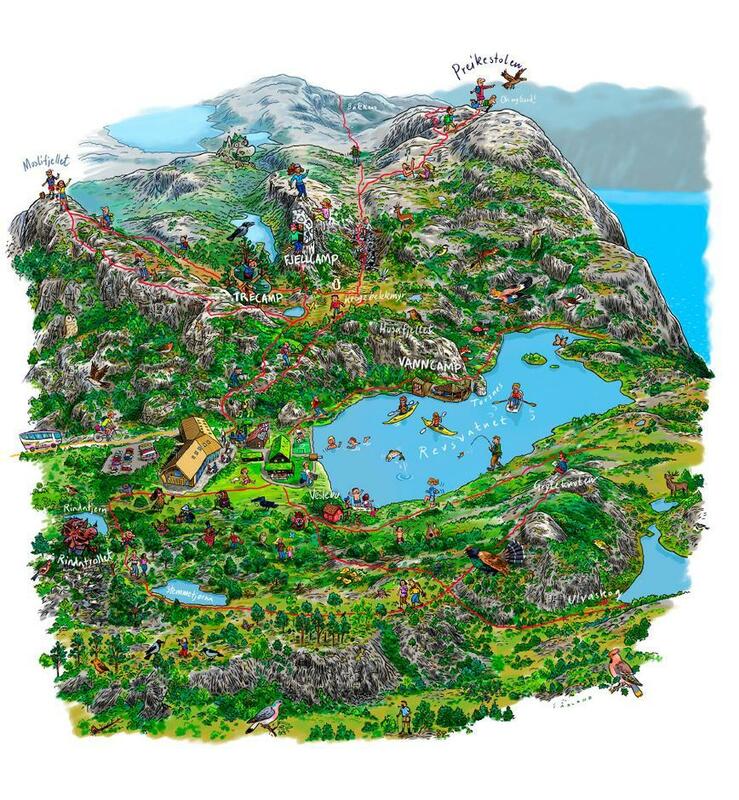 Around Preikestolen mountain lodge there are several hikes to offer than the trip to the Pulpit Rock. 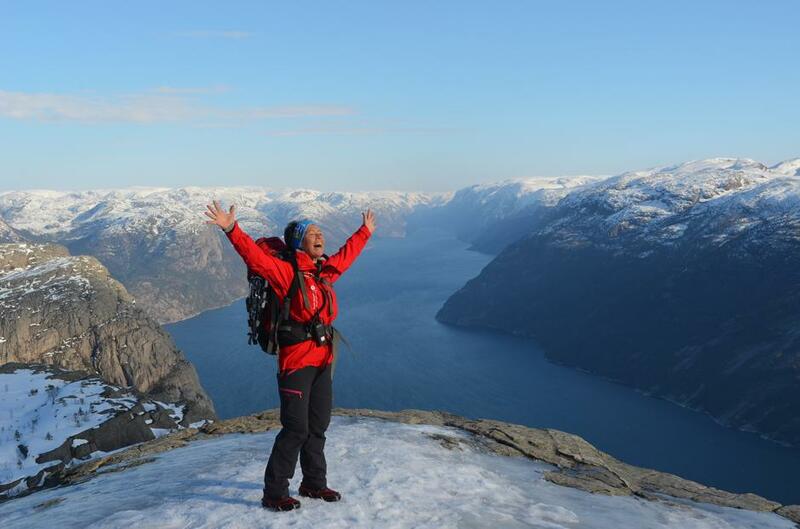 On this page you will find our tour programs, our recommendations and information about hikes. We can provide experienced guides on request throughout the year, and also arranges group tours with different themes. 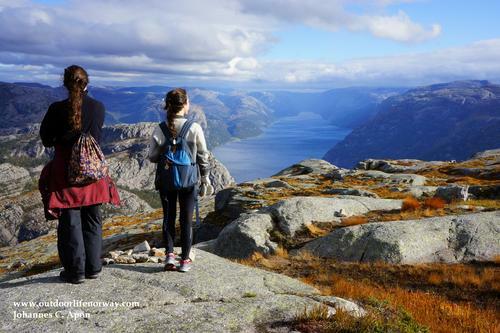 Preikestolen mountain lodge offers guiding for groups on request. Please contact us for more information and prices. 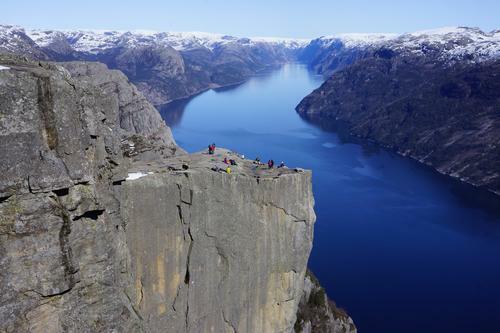 Beat the crowds and enjoy Preikestolen and the Lysefjord in the off-season silence of the spring. Incl. home-made soup and bread at Preikestolen Mountain Lodge. Avoid the crowds. Off-the-map canoeing, hiking and scrambling. Hike in solitude and reach out-of-this world views only few have seen before. 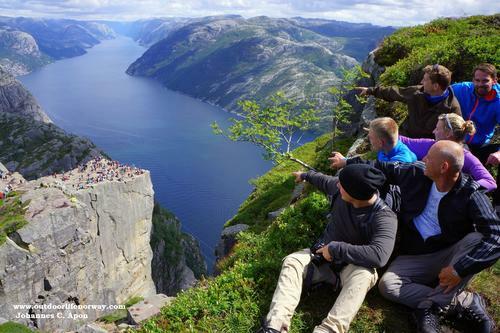 We invite you to a unique Preikestolen hike experience, guaranteed crowd-free! 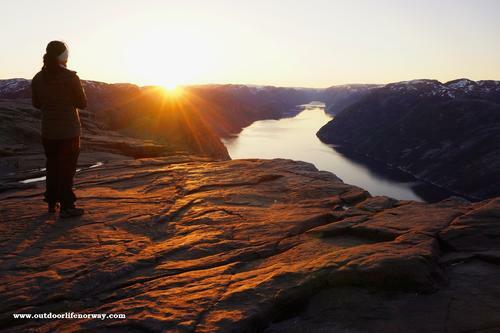 Hike through the night to watch the sunrise above the Lysefjord. October, visitor numbers drop. The forests turn yellow, orange and red. Shorter days create stunning light conditions. We might even see snow.